During the marriage function of Pakyaraj’s Son Shanthanu many cinema industry stars came. 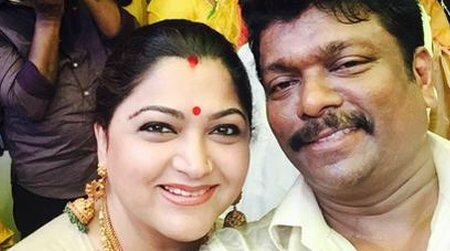 During this function Parthiban took a selfie with Kushpoo and posted in his official Fb page and twitter. He posted the pic with a caption ” Selfie with Kulfi ” . All the fans took it in a lite note and shared and RT the post. Still some Kushpoo fans are angry on him by typing bad comments in the post !